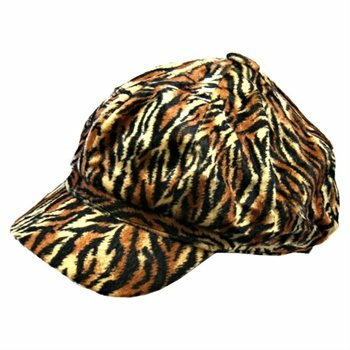 This Tiger animal print newsboy hat is perfect for that wild & daring girl. This hat is beautiful, but also very comfortable to wear because of its softness. Hat has a 8 inch circumference. Hat brim is 6.5 inches wide. Hat crown is 4 inches high.